It's only been a month since Lollipop made its debut on the platform distribution chart, and it's making decent headway. Android 5.0 more than doubled its standing, bringing the total from 1.6% to 3.3%. Most of this bump can be attributed to firmware updates that have been rolling out to 2014's flagship phones and tablets. Surprisingly, KitKat also increased its hold by 1.2%, totaling 40.9% of all Android devices. Since Lollipop and KitKat only account for a combined 2.9% shift, most of the remaining versions of Android lost ground pretty evenly. Jelly Bean 4.1 took the largest hit, losing a full 1.1%. Aside from Froyo, which held steady, all of the other versions lost about 0.4% from their respective totals. There's no sign yet of Android 5.1, which has only just begun to appear with new Android One devices in a few markets. 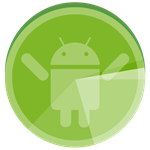 Naturally, we'll see a significant spike in Lollipop's position within the next couple of months as firmware updates roll out to even more devices and consumers activate new phones like the HTC One M9 and Samsung Galaxy S6.